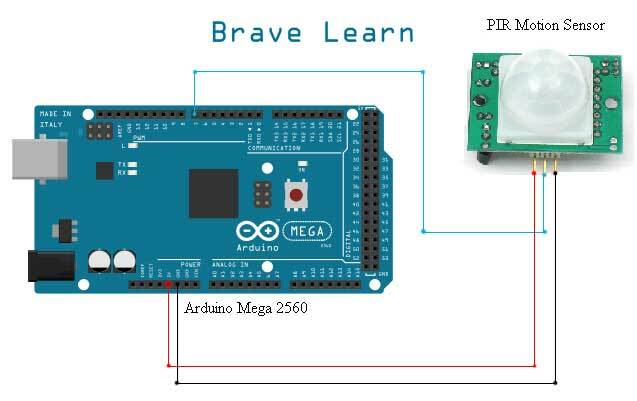 Arduino is the most common open source hardware for implementing cool projects, and PIR is most widely used to detect motion and human presence. More details on how to interface Arduino with PIR. Today we would explain you a step-by-step guide on how you can build intruder detection system using Arduino and receive an alert via SMS. Ethernet Shield compatible with Arduino. More details here. First of all, you need to connect your Arduino with Ethernet Shield and check if its working properly. If you are new to Arduino Ethernet shield, see this article on how you can use Arduino as a web server using the Ethernet shield. We recommend the reader to see this detailed article on how you can interface Arduino with PIR module. Up to this point, you have a knowledge of how you can interface Arduino with PIR and how you can use Arduino to act as a web server using the ethernet shield. 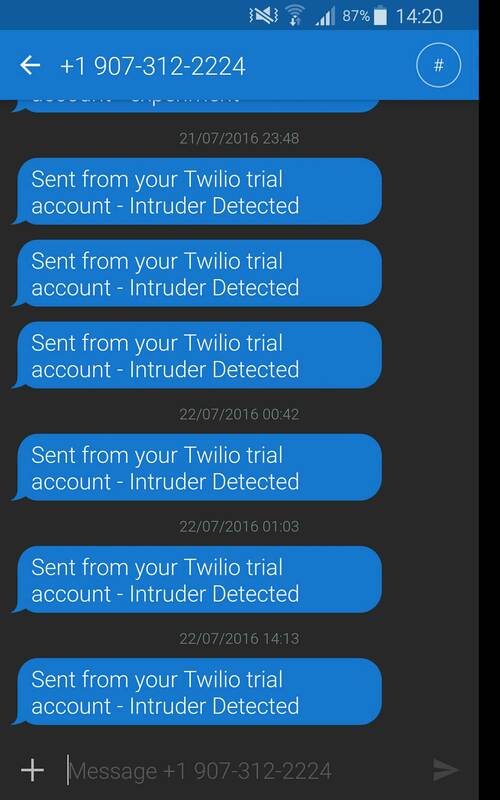 To receive an alert via SMS on motion detection you need to create an account at Twilio. Twilio is easy to use and provides large sets of API’s to use with multiple applications. After creating a Trial account at Twilio, you need to verify your own mobile number on which you want to receive texts. Twilio will provide you a step-by-step guide on how you can receive a text message or a phone call. But how you can configure Arduino to connect to Twilio to send you an SMS? To answer this question, we will use PHP language as Twilio provides PHP API to send an SMS. To do this, you will need to create a web server first. Its not that hard. Pick any free hosting sites they provide you domain name as well as complete server package. Alternatively, you can host your own webserver on your local computer. If you have Windows operating system, then you can use wamp server or Apache 2.0 if you have Linux. After creating a free hosting account. Download PHP-libraries from Twilio website. Name this file anything you want like ‘send_message.php’. Make sure you have downloaded the files in the same folder you are creating this file or else you can modify the path in above code. After performing all above steps, you can verify that you are receiving text alerts or not. Navigate to your PHP file “send_message.php” from any web-browser and you will receive a text message on your phone. If you have successfully received the text message upon navigating to your PHP file, then you have successfully configured Twilio and great you are almost done too. twilio.println("Host: www.bravelearn.com"); // PRINT HTML headers to close the connection after loading the page. Serial.println("No Motion is present");  // Print on Serial Monitor that no motion is detected.